As you may know, Windows 7 doesn't support USB 3.0 by default. This is also why the installation of Windows 7 from an USB 3.0 key requires a little manipulation beforehand. 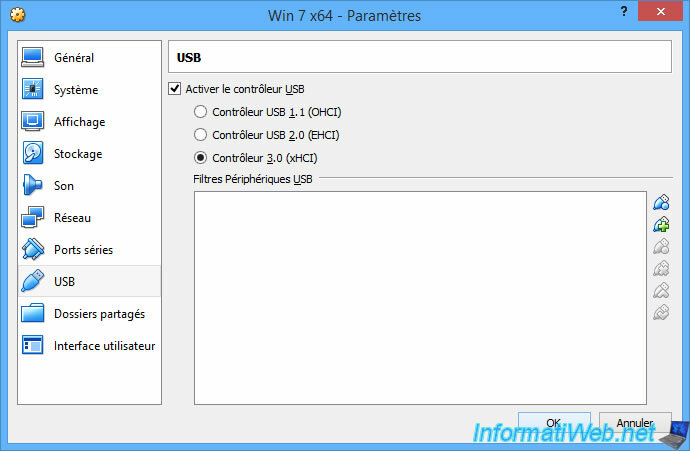 In short, because Windows 7 supports USB 2.0 by default and not USB 3.0, VirtualBox defaults to an USB 2.0 controller when you create a virtual machine to install Windows 7. This is visible in the device manager in your virtual machine running Windows 7. 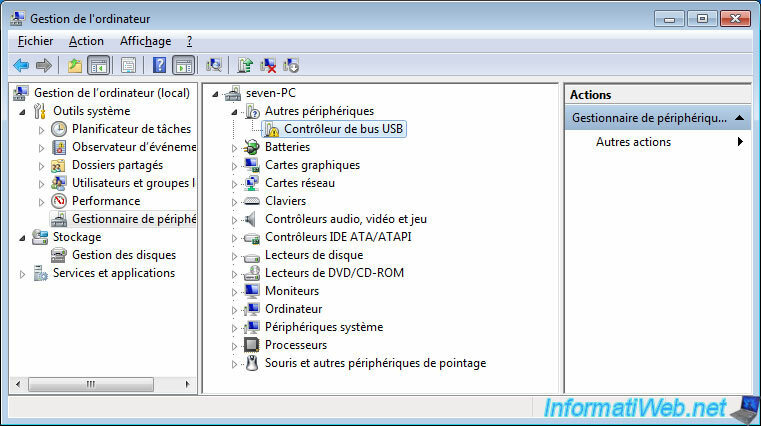 To use an USB 3.0 controller in a VirtualBox virtual machine under Windows 7, you must first go to the USB section of your virtual machine's settings. Then, select : Controller 3.0 (xHCI). In the Windows 7 guest operating system, you will see that Windows couldn't automatically install the driver for the used USB bus controller since it doesn't support it by default. 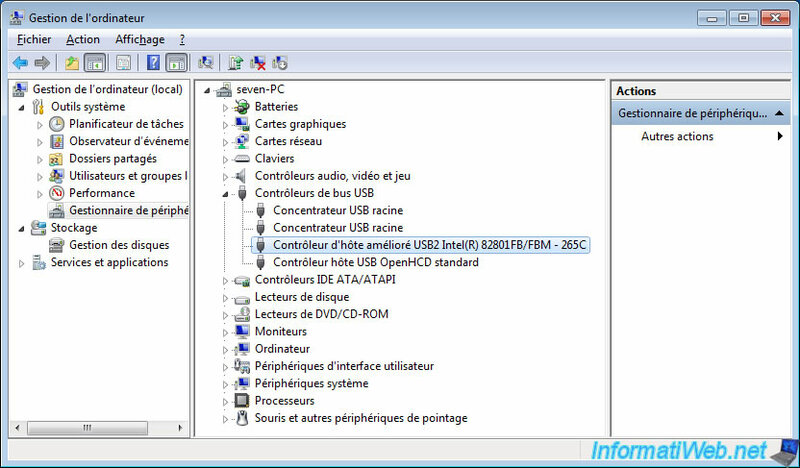 In the device manager, this "Universal Serial Bus (USB) Controller" will appear with a yellow icon as there is no driver for this device. 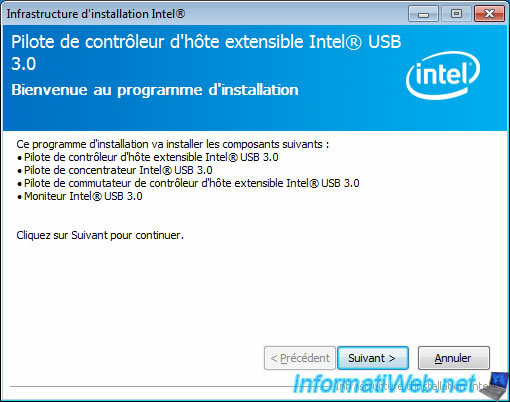 To fix this problem, simply download and install the "USB 3.0 Driver: Intel® USB 3.0 eXtensible Host Controller Driver for Intel® 7 Series/C216 Chipset Family" driver available from the Intel official website. 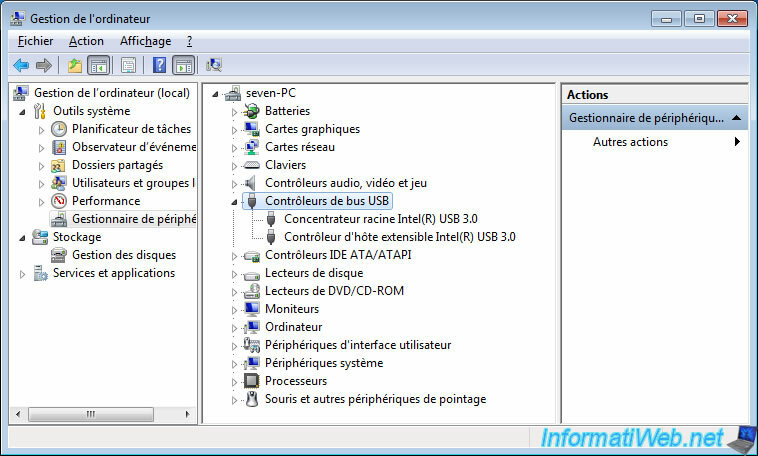 Once installed, Windows 7 will recognize this new USB 3.0 controller.